Seminyak brings you a buzzing atmosphere, with a lively selection of bars, restaurants, and boutiques located close to the beautiful golden sands of the beach. It’s known for its upmarket vibe, with luxury hotels to choose from, as well as crystal clear waters and pristine sands on the beach. Couples will love the chance to unwind and immerse themselves in the relaxed atmosphere of Bali, while families will find lots of amenities and activities on offer. Spend long lazy days on the beach, soaking up the sun before enjoying a refreshing dip in the sea. The beach is backed by restaurants and bars where you can listen to chilled out tunes as you choose from snacks, cocktails, cool beers, or delicious local seafood. When it comes to shopping you’ll find designer labels galore, as well as local markets where you can pick up unique gifts, trinkets, and souvenirs to take back home. Holidays in Seminyak are growing in popularity, helped by its wonderful beach and fantastic selection of amenities. It offers a choice of four beaches, as well as having beachside restaurants and hotels where you can rent loungers, or order your food straight to your lounger. 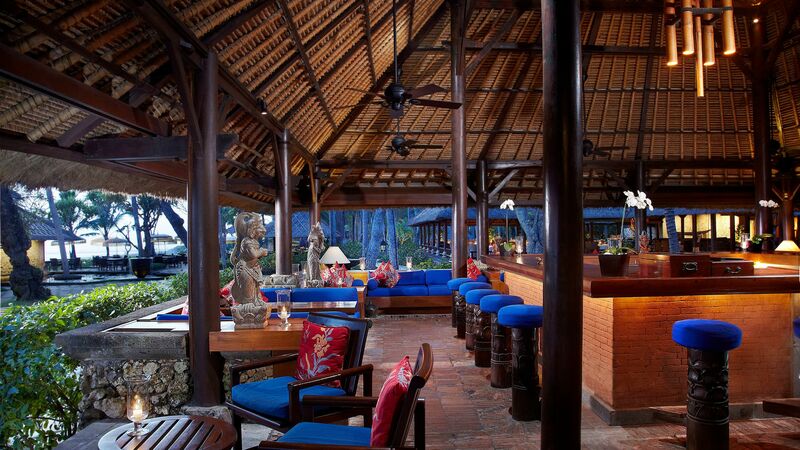 Spend your days indulging in the spa or one of the many shops, or immerse yourself in the local Indonesian culture. If you want to explore the area, hire a boat and try snorkelling underwater, or enjoy a sunset sail with a cocktail in hand. Book your luxury holiday in Seminyak with Sovereign and we’ll take care of everything for you. Speak to one of our Trusted Advisers who will get to know you before recommending one of our carefully selected choice of hotels. Stay at The Oberoi Bali for rustic details and beautiful Indonesian décor, three restaurants to choose from and a relaxing spa. Elegant guest rooms and tranquil gardens provide the perfect setting for a relaxed holiday. Transfer time from Bali airport to Seminyak is approximately 40 minutes.